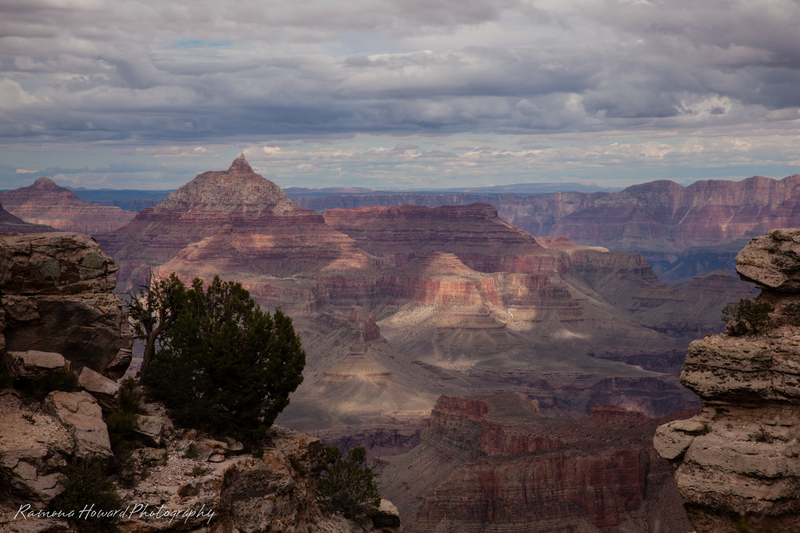 I took a friend from Shanghai to photograph our state’s treasure, The Grand Canyon. I was disappointed that I could not “give” her one of Arizona’s fabulous sunsets which would paint the canyon in a riot of colors and hues. 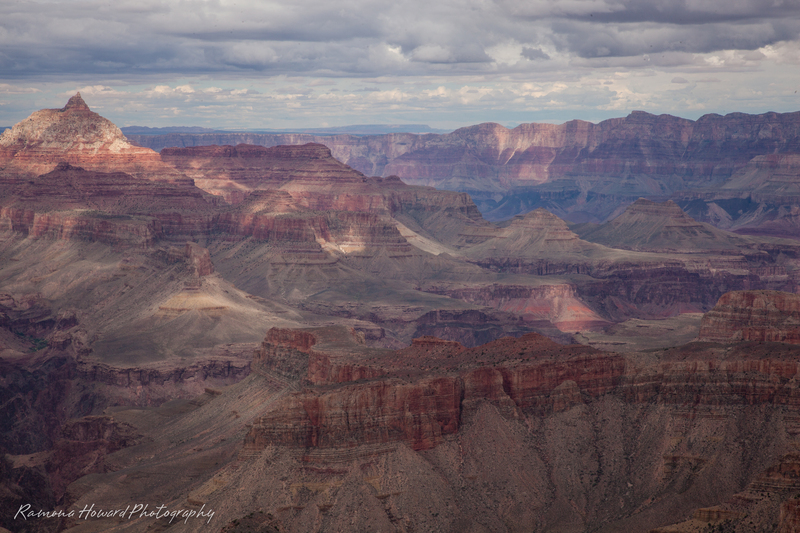 When I viewed my images later, I realized that what we had captured might be as good as, or better than, the typical sunset photograph that is ubiquitous throughout the gift shops in Arizona and on the Internet. We had waited patiently for sunset, just sure that the clouds would shift ever so slightly to allow the sun to give us a show. 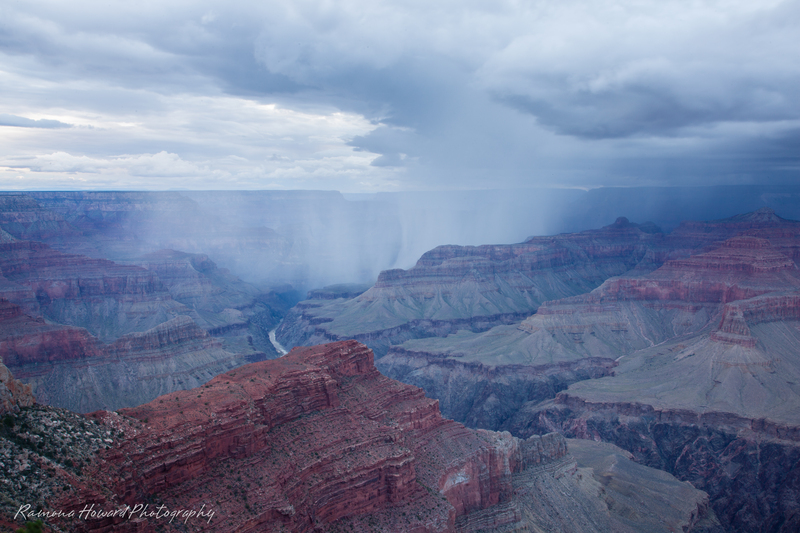 We watched the rain as it moved around the butte to form a soft curtain which made its path steadily toward us. 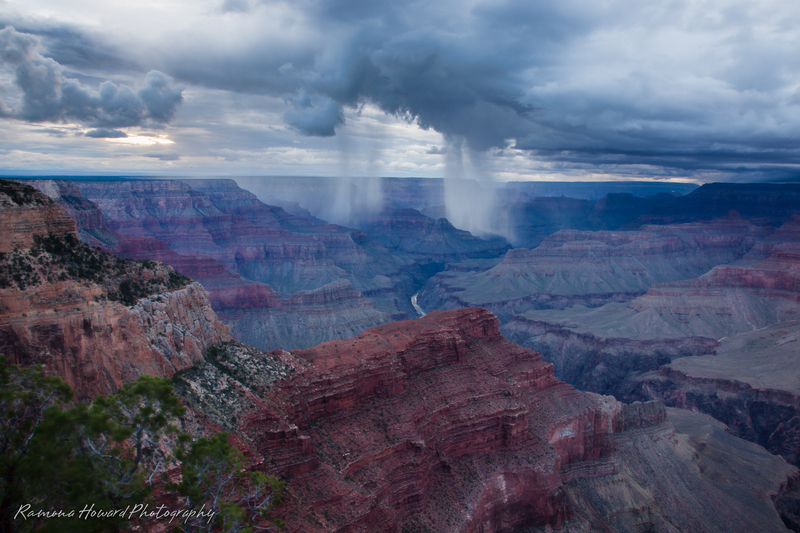 I’m sure that we looked absurd when we donned rain ponchos and held umbrellas above our cameras as we stubbornly stayed to capture the last bit of light and shadow in The Grand Canyon (and before the last shuttle departed). 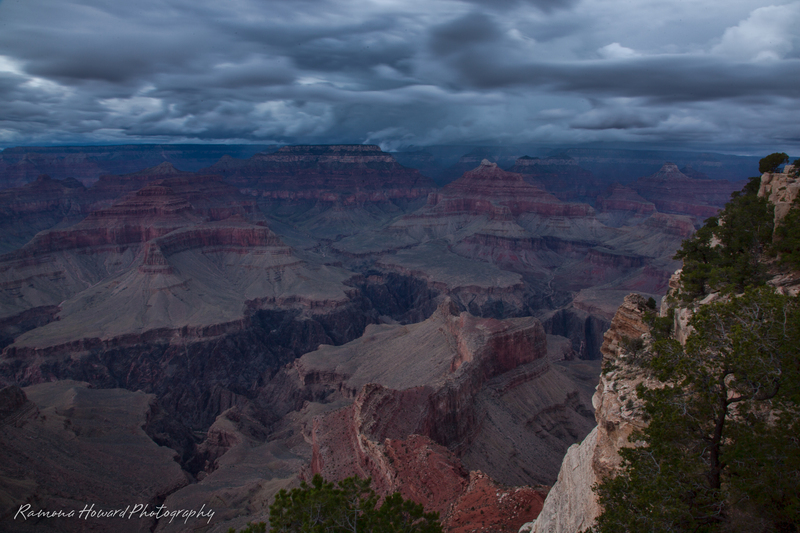 Throughout the day, I had wished for a break in the clouds for the dance of light in the canyon. We got a few glorious moments. How good are these photos! I love all of them but the first rainy one got me in. 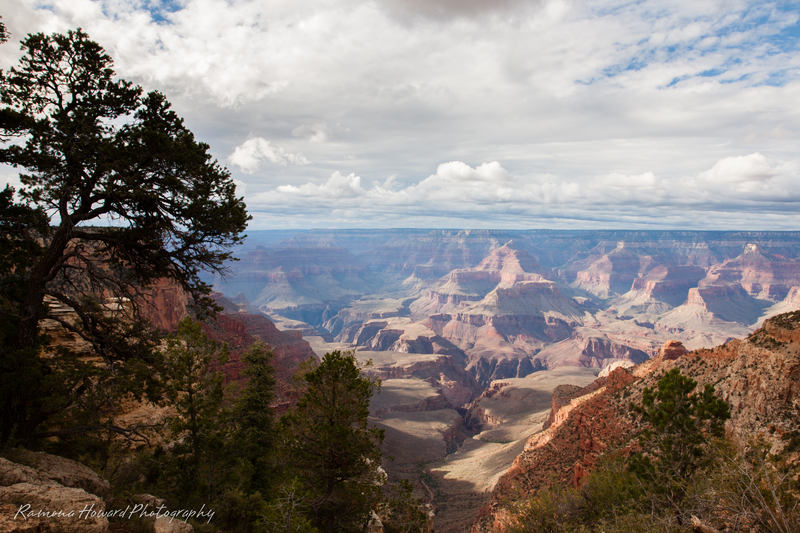 I’ve never see the Grand Canyon, but you’ve shown me what I’m missing. These photos are stunning. The mountains look so majestic. Yes these are amazing images Mona! Wow!!! They are all amazing, but I love the rain pouring down in Pic 1!! !